The Azerbaijani state oil company SOCAR is waiting for the decision of the Albanian government on the feasibility study of the general gas supply plan for the country, the head of SOCAR Balkan, Murad Heydarov told Trend. "The final document of the feasibility study of Albania’s gasification plan has already been prepared by the consultant of the Albanian government, and we have assisted and made comments. The feasibility study has already been submitted to the government and needs to be approved," Heydarov said. "I emphasize that we are not a contractor of this project. Immediately after completing the approval procedure for the feasibility study, within its framework, as one of the priority projects, the Albanian government and Albgaz should build a gas pipeline between the cities of Fier, where the TAP pumping station is located, and Vlore, where the gas power station is located. In accordance with the bilateral commitments between the governments of Azerbaijan and Albania, we will carry out a detailed design of this project free of charge," he added. A memorandum of understanding on cooperation in the development of a general plan for the gasification of Albania was signed between Azerbaijan and Albania in December 2014. 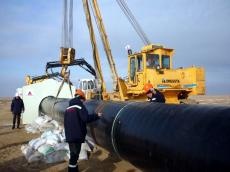 Albania is one of the European countries that will receive Azerbaijani gas within the framework of the Southern Gas Corridor. At the initial stage, the gas produced within the second phase of the development of the Azerbaijani Shah Deniz gas and condensate field is considered as the main source for the Southern Gas Corridor projects. At a later stage other sources may be connected to the project. Gas under the second stage of field development will be exported to Turkey and to European markets by expanding the South Caucasus gas pipeline and building the Trans-Anatolian (TANAP) and Trans-Adriatic (TAP) pipelines.